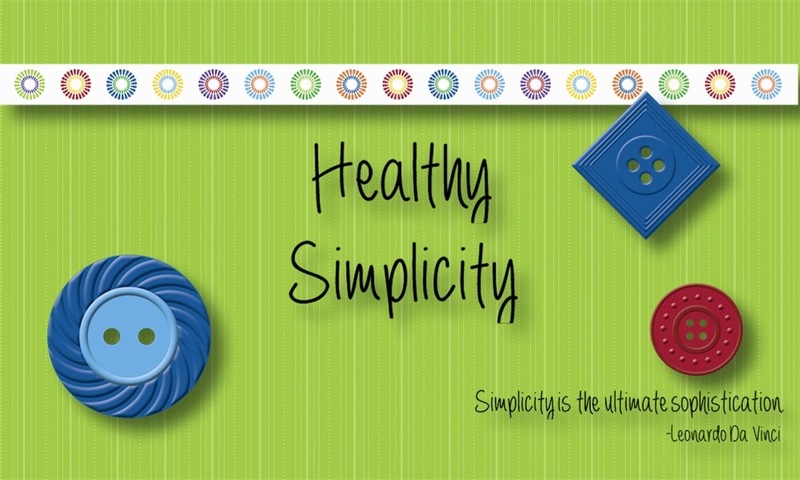 Healthy Simplicity: Is My Baby Malnourished? A little over a week ago I ended up in the E.R. of our local hospital because my baby had croup. We're not a family who goes to the doctor for every little sniffle, and I tend to second guess myself when we have to go to Emergency. Well, it looks like I made the right call this time because he didn't respond to the first medication. The second medication didn't work much better so we were admitted overnight while they treated his croup very aggressively. The poor thing got so used to the mask he had to wear that he just gave in and didn't fight it after awhile. We were released the next day with an appointment to see a pediatrician in the hospital two days later for follow-up. Now to the heart of why I'm writing. At the appointment while taking my baby's history I told the doctor that he still nurses about 85% of his calories (that's conservative - it's probably 90% or more). I told her that he sits at the table with us for every meal, and we offer him what we're eating. Most of the time he takes a few bites. If we're really lucky and he really likes what we're having he may even eat a quarter cup's worth. So I explained all of this, and then she told me my milk isn't nutritious enough and I need to start weaning him. Let's just say I was speechless for a bit. Okay - is she not even looking at this baby in my lap? I know he was still recovering from being quite ill, but his illness had nothing to do with malnourishment. We're talking a little guy who nearly tripled his birth weight of ten pounds in one year - all on my breastmilk. I was so upset. She told me to stop giving him one of his feeds and when he is hungry he'll eat. 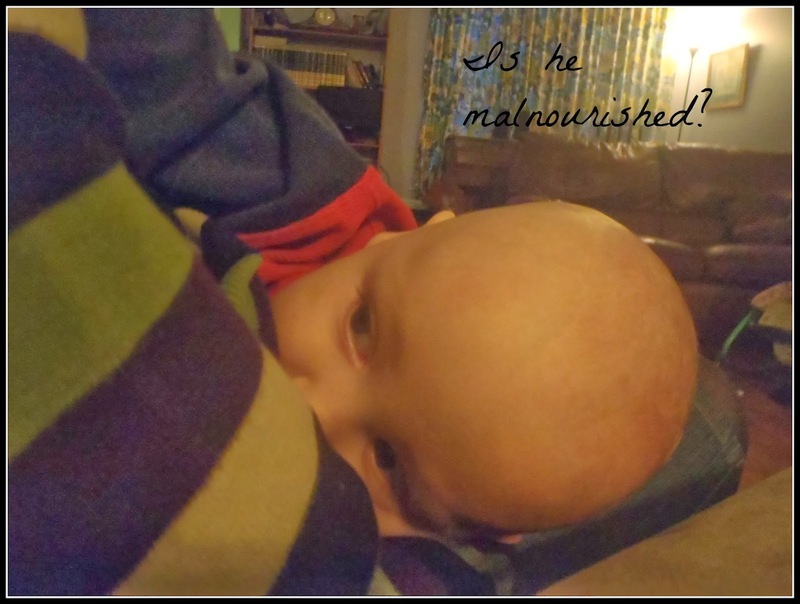 How do you make a baby go hungry? I was very upset. I came home and called one of my local La Leche League leaders. I didn't agree with the doctor at all and needed confirmation. Doctors, especially if they don't know you, don't always know best. They did a great job at helping Jonah recover from the croup. However, on this issue she was so clearly wrong. The thing that bothers me the most is that if Jonah had been my first I probably would have believed I was starving my baby in spite of evidence to the contrary sitting in my lap. My point - please see a doctor when you need one, but also, please, remember they don't know everything. A baby can be malnourished while milking, but only if his mother is malnourished. A mother's body will deprive her of nutrients in order to given them to the baby. I have seen this first hand. While on a mission's trip in the jungles of Venezuela it was clear which women were mothers -they had no teeth and the babies were chubby and sweet. Their diet was low in calcium so their bodies took the calcium from the mother's bodies to give to the babies. My baby is developing normally, and I know that one of these days he's going to start eating solids all the time and there will be no holding him back. 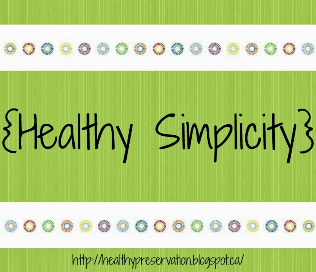 Good article of a super cute - super healthy baby. Makes my blood boil that some doctors would think that there is a "magic" age when you must stop nursing or they aren't getting the nourishment they need. Jonah should be a poster child for nursing full-time :). My babies nursed so well and so long. Stef was 3 when she finally gave it up and we are blessed today to have healthy children who have no food allergies! Praise God! Julie, I just wish you would tell us how this made you feel. :) Nursing is a PASSION we both share - healthy for mom and baby. Your baby is beautiful! It is essential to have discernment and trust your instinct. I would say, "you've go this!" I don't think anyone seeing Jonah would think there is anything amiss with his diet. :) Sometimes you do just have to trust your instincts as a mother. We are getting well, Renee, thank you. It's been a long month, but it sure is making me appreciate my health more now that I have it back. That baby looks pretty healthy to me! I say do what you feel is right for your child. After all, mother know best.